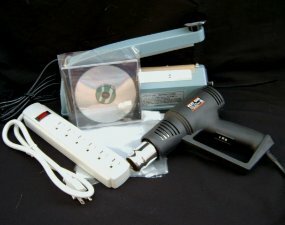 Shrink wrapping provides a crystal clear package. It also provides a moisture and dirt barrier extending the shelf life and preventing pilfering. 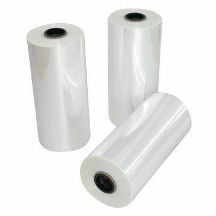 Shrink bags are quick and easy to use and speed up the packaging operation. 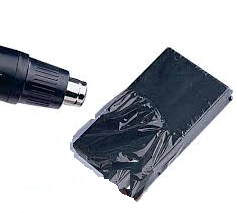 Simply insert your product into the shrink bag, seal the open end with a sealer, and shrink the film tightly around the package with a heat gun. Vent holes in the shrink bags prevent ballooning. Shrink bags come in rectangular, square and dome shapes, and many other different sizes.